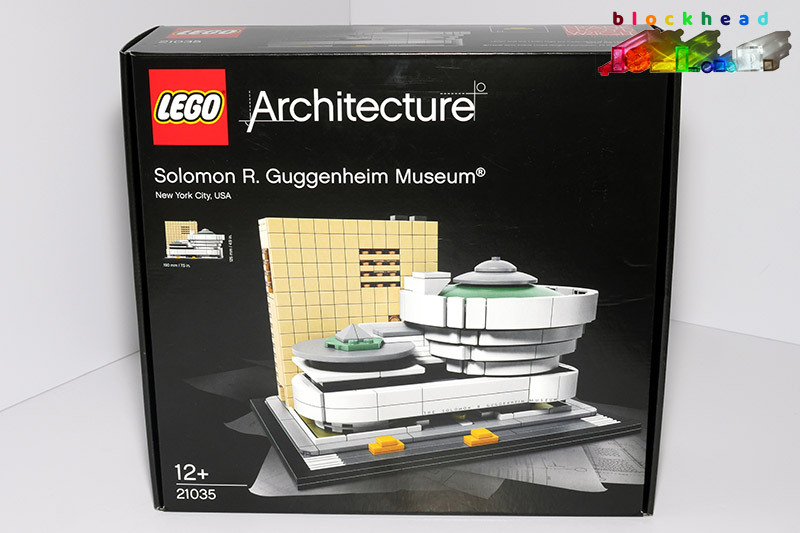 Another big set I got for Christmas is the iconic Architecture Solomon R. Guggenheim Museum (21035), which is one I have been wanting since I first seeing the theme. 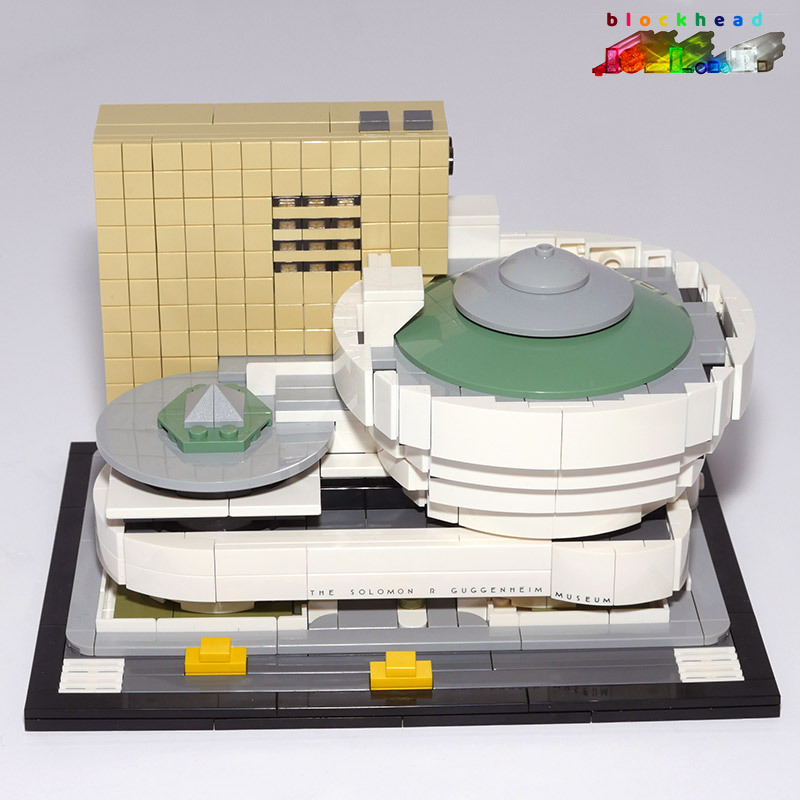 The real building is a mad shape and it has been rendered very well in LEGO here. It’s the second time this subject has appeared in the Architecture line. 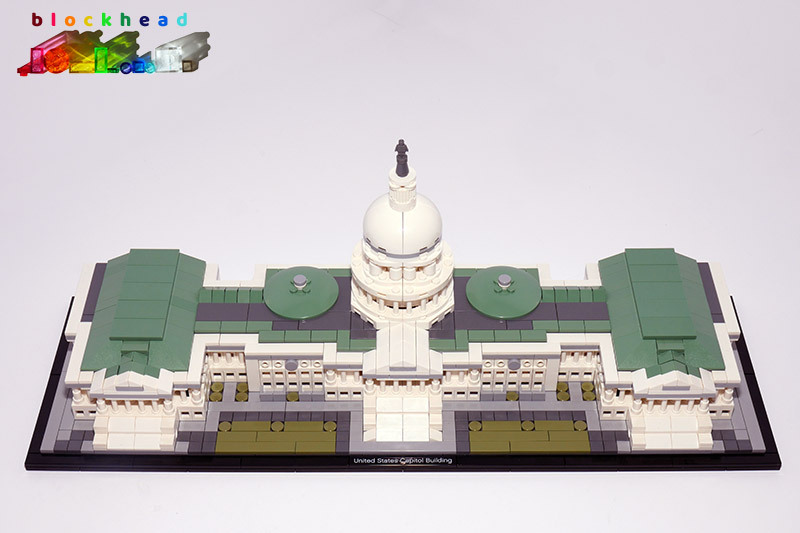 The original set (21004) was one of the earliest Architecture sets released – but personally I’m not keen on it as it is far less detailed and there are too many studs visible. 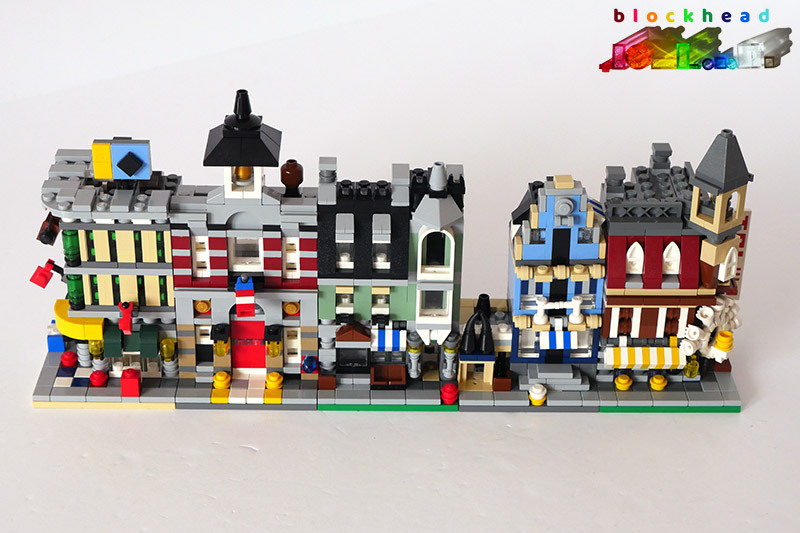 This version, however, is much closer to the real thing, and is perfectly in scale for Micropolis – the yellow taxis on the road in front are exactly the same as they would be in Micropolis. 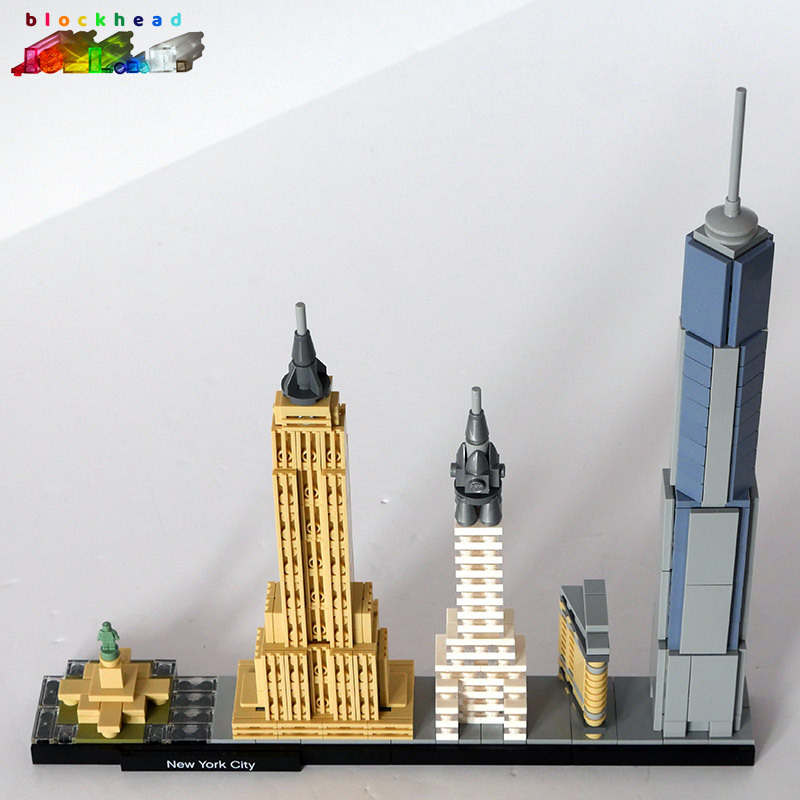 I am contemplating whether I should put it on a Micropolis 1/2 block base, but I will have to see. It does look good on the base it comes with in the meantime. 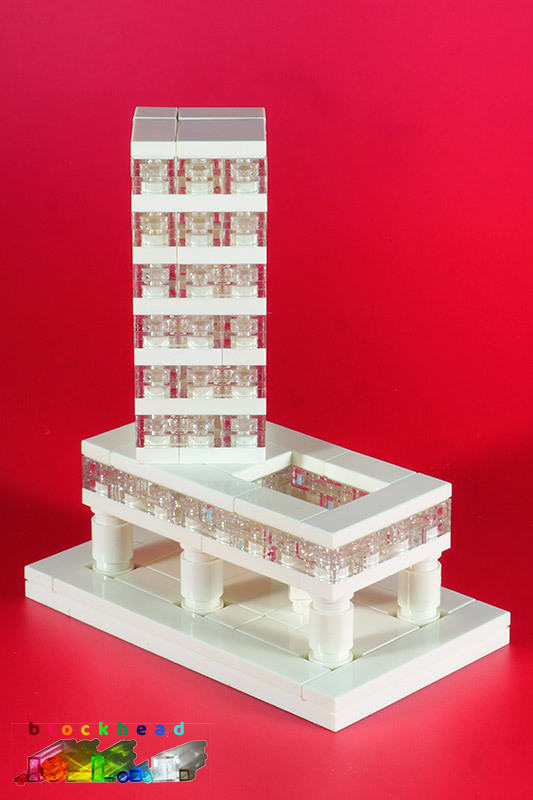 As you know, I’m a great fan of Microscale buildings and have had my eye on the Mini Modulars (10230) set for some time. It’s long been out of production, having first been introduced in 2012. So the only hope was scouring eBay for a copy. I struck lucky and won one at a reasonable price. 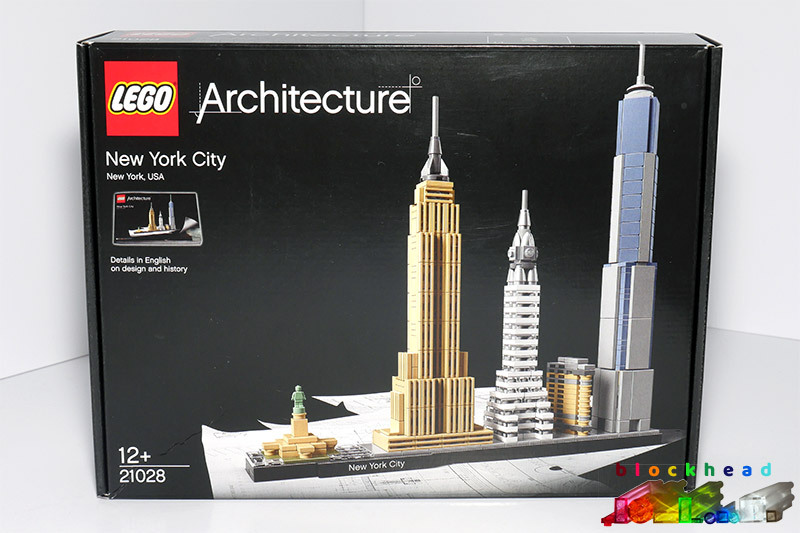 There were a surprising number of pieces (1356 apparently), and the instructions came in two parts, one to build three models and the other to do the two others. Some of the building techniques here were really original (at least, to me), with plenty of SNOT going on, and ingenious ways of representing bigger details at tiny scale. It was fascinating. 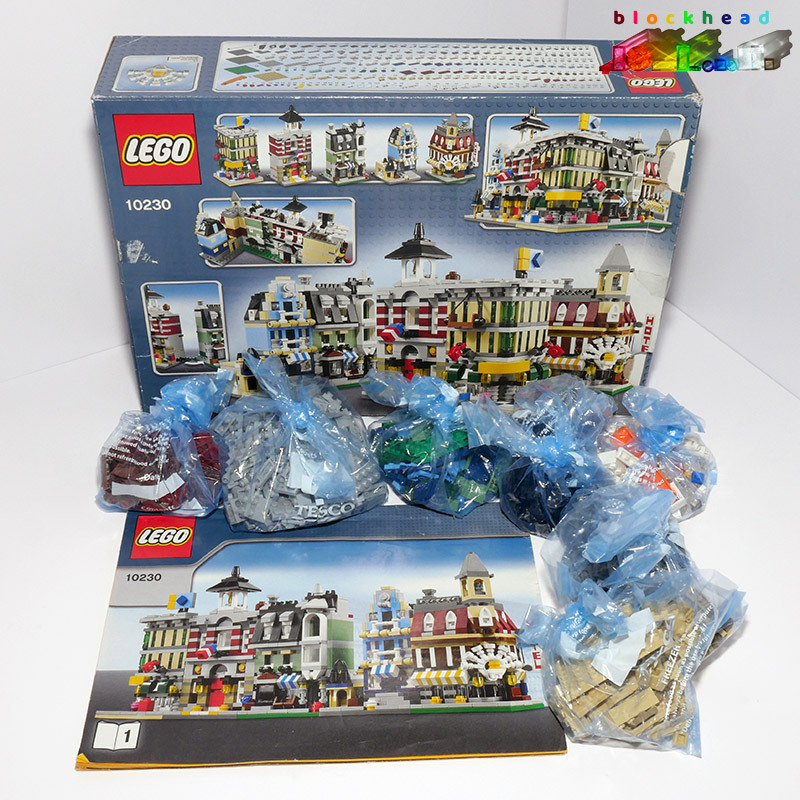 My “complete” set had a few tiny pieces missing, which I was able to pick up from BrickLink soon after. I can’t complain too loudly given the price I paid. The only other slight issue was with some of the 1×1 cheese slopes which tended to develop hairline cracks when they were pushed even gently onto studs. I’ve never had that happen with other LEGO I own, cheese or otherwise. Perhaps it stems from how the previous owner stored or displayed the models, I don’t really know. Anyway, you can’t tell unless you scrutinise the build at very close range, so I’m not going to worry about it too much. Don’t they look splendid? 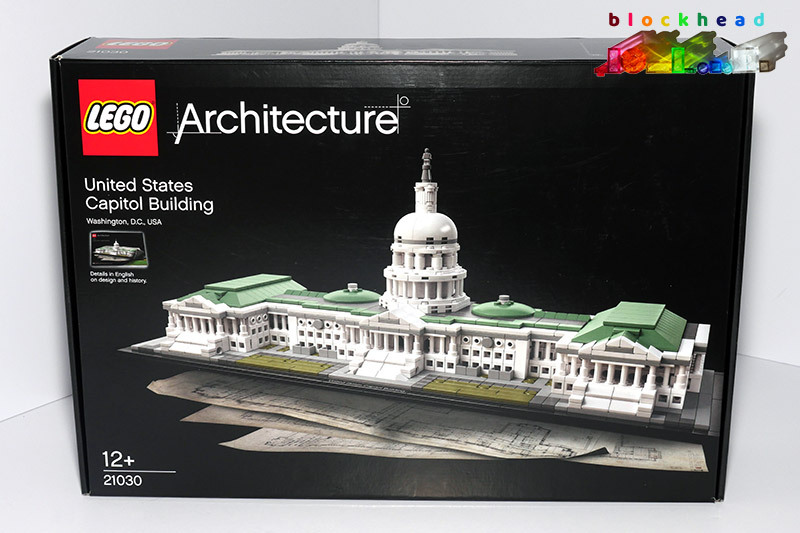 I had another browse through Tom Alphin’s book, The LEGO Architect again today. This 3D sketch is an expanded version of the model he shows of Lever House in New York City, which was built in the Modernist style. I like the elevated area above the columns but made the floors above so that they were sitting on the diagonal to give a bit more interest. I feel there is more mileage in this one, so I might have another go at doing something with it in LDD, where I won’t run out of 1×2 trans clear plates to realise my vision! Watch this space.